There is a relation between hurricanes, nursery crops and economy in south Florida. Miami-Dade County is the number #1 producer in ornamental plants that you may see in every office, house or landscape in the US. 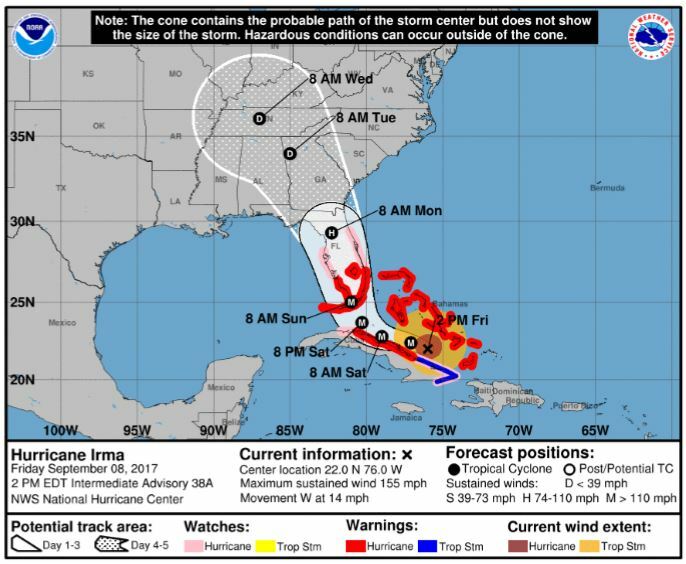 However, during a natural disaster such as a hurricane (#HurricaneIrma) or tropical storm, the nursery industry is very vulnerable due to many characteristics such as common practices like open structures (shade-houses), crops growing in containers (pots) and open environments for all types and sizes of crops that are very sensitive to high winds who can destroy all these structures used in ornamental nursery production. After the natural disaster takes place, remaining plants left are still sensitive to death because of lack of proper irrigation, flooding or excessive solar exposure. Last time we were hit by #HurricaneAndrew in August of 1992; the catastrophic damages to nurseries were mainly the result of extremely high winds, with gusts exceeding 200 miles per hour in some locations. Almost all greenhouses and shade-houses, irrigation systems, portable buildings and fences were completely destroyed. 1,300 acres of nursery structures and 4,000 woody ornamental crops were damaged or destroyed. Total losses were estimated at $206 millions. The hurricane caused additional multi-million dollar losses in export sales and supporting industries, and over 7000 jobs were lost. (Hull and Hodges, 1993). Communication is very important: develop a “telephone contact tree” for all your employees and family members. Create a list of emergency numbers, including crop and property insurance agents, your local Farm Service Agency office, Miami-Dade County Extension office, police, fire, and utility companies. Secure and tie down all loose items, nursery containers, stakes, etc. Loose items become missiles in a storm. Secure all equipment in an area not likely to be damaged. Be safe and wait until local authorities announce you are free to leave your shelter. Inspect the nursery and assess the damage, take multiple pictures or use a video camera to document damage before you start to clean up. Pay attention to downed power lines, broken water lines, etc. Irrigate to flush away any salt residue. Secure your structure and buildings. Make any necessary repairs to secure them from the weather and intrusion. Replant any plant material needing it. Prune to correct any damage. Remember: Do not underestimate tropical storms and Category 1 hurricanes. (Hurricane Katrina hit South Florida as only Category 1, but caused estimated damages of $370 million to nurseries.